I declare . . . . I declare you are entering the place of God’s promise, as your eyes are opened, seeing the greatness of God that is in His Word made known in your life, as you have massive breakthrough, where the King of Glory has gone before you, breaking through the gates, causing you to cross over into your new season! In Jesus’ Name! I declare you have a 100 fold harvest in your soul, where you have prospered, going from glory to glory, seeing with an unveiled face, being transformed into the likeness of God’s Glory, as you enter into a season of God’s greatness and know the strength of the Almighty, in the presence of His tent, seeing the beauty of holiness! In Jesus’ Name! I declare you are rich in grace in The LORD, prospering in life and in health, as you see that which you have longed for, and God do exceedingly, abundantly above what you can think or imagine, according to the resurrection power at operation inside of you! In Jesus’ Name! I declare your time of weeping is over, as you begin to dance and laugh, knowing that victory is on every side, causing your mouth to be wide open and filled by the Living God, being lifted up from the ash heap and seated in a throne of glory fit for nobility! In Jesus’ Name! Get ready Saints of God! God is moving you quickly in this hour, knowing what He has called you to, as you are filled and overflowing with hope, knowing a greater anointing of Christ Jesus the Hope of Glory within you! The Spirit of Understanding is upon you in greater measure in this hour, and the Father is opening the eyes of your heart as you have been aroused by grace in a greater awakening of His Love in areas of your soul, where you have been oppressed by the enemy in your past, and God is sending His strong West Wind of Holy Spirit to remove the locust and cast them into the Red Sea! God keeps saying to Hope against Hope and do not forget that He is the God of promise, the God of goodness Who gives gifts to His Children as the Father of Lights, and with Him there is no turning! 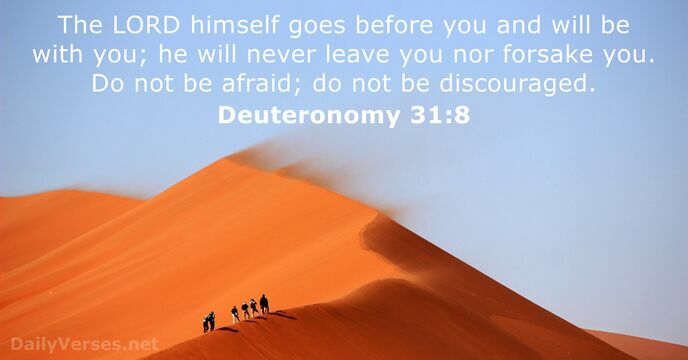 Do not be discouraged! Know that God has a plan and purpose for what you are enduring, as you seek Him, knowing that He is a rewarder of those who diligently seek Him! The test in this hour, is if you are willing to seek Him in the midst of your chaos, in the midst of your trial, to know the One Who calms the storm and brings peace to rule your heart! The enemy has been bringing distractions to throw the saints off but it has not prospered! God is waking us up in greater measure and giving us greater detail of His Word, as we see roaring deep cry out to roaring deep in this hour, with Power and Wisdom, knowing the strength of the Almighty provided to the early church, as we stand our ground in the evil day of danger, standing on the Word of God! I hear Chaos and that it will be like Jeremiah 12:5, where God has prepared His people to run the race of faith in a time of chaos that seems like a jungle. I hear the Chaos is here but also the chaos is coming and that God’s people will be prepared to act and not react in the midst of chaos, where the blessings of The LORD will rain upon God’s people, bringing His justice and judgment for them! He says your sons and your daughters shall prophesy, as I fill their mouth to overflow, where I will release Rivers of Living water, bringing forth My standard, to turn things around! God says we are in a TURNAROUND season and that His delight is in us, as we have sought Him in such a hard place, wanting to give up, but clinging to His Word, where He has strengthened us for the race of faith and to hold on, as we are lifted up in this hour with a greater grace, a greater anointing, which will cause us to enter the Land of Promise and receive our inheritance, being forced out into the fields of harvest; to walk in the greater works of God! NO! 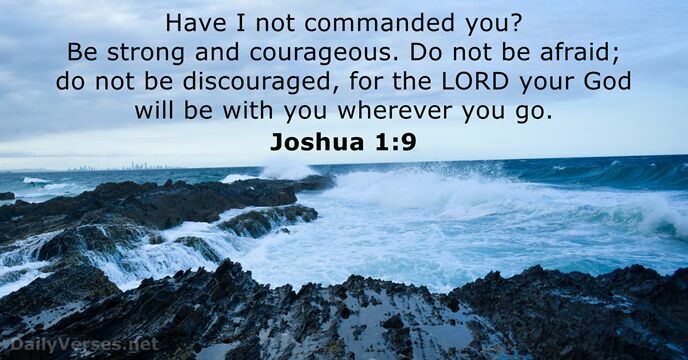 Do Not Be Discouraged! God is for you and if He be for you then who can be against you? Do not worry about others and what they say about you. Only know what the Word of God says, as the Father brings healing to your soul, delivering you from the powers of this present age, where you have resurrection power in you that overcome the power of the world! God says that some of you are in a trial to know the power of Christ’s resurrection, so that you will declare a thing and see it established! He says that many have not because you asked not, and therefore have not received. God is stirring His people up now to ask for that which He desires to bring, so that you can have increased faith that He hears you and answers you! God is revealing areas in which you have had doubt and unbelief and is delivering you from double-mindedness as you walk whole and see Him restore all that the cankerworm and locusts have eaten, sitting in the place of His promise, as you behold His Word performed in the midst of you being satisfied with His goodness! He is faithful and long suffering and He says those whom you have been praying for salvation, He has worked in your character the long suffering virtue of Christ Jesus, bringing you more of His love so that your eyes are that of righteousness! GOD BLESS! AMEN AND AMEN! 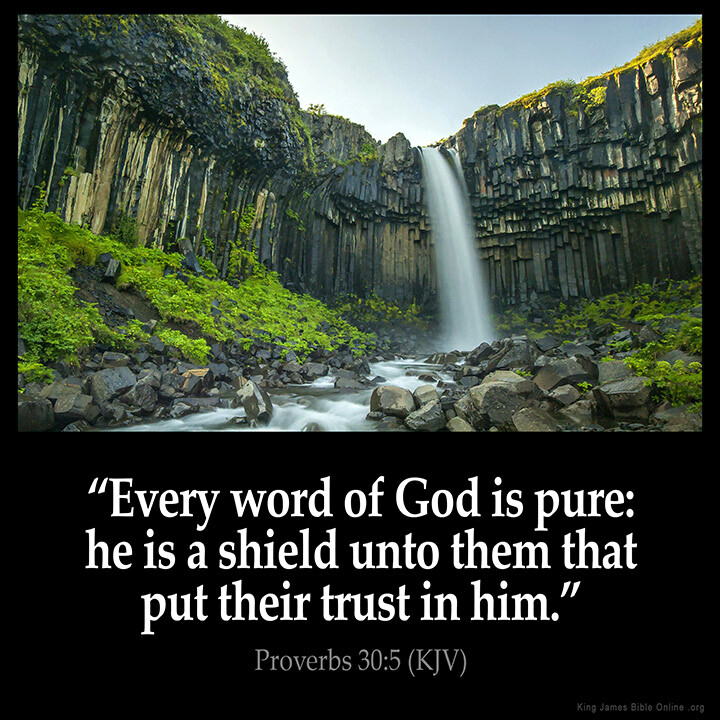 Trust in the Word of God! Trust in the Word of God and the Power of God’s might that is able to heal and deliver to the uttermost, not being double minded! God is the God of breakthrough and the God that heals you!!! You will be tested beyond all measure as the enemy attacks your heart and mind, trying to twist the Word of God and His goodness. You must resist this! God will bring you out of the old season and bring you into the new, as He guides your footsteps, leading you into the place of victory in His Word, where you are overcome with joy and peace, knowing the triumphant praise of Christ Jesus! God lifts you up in the day of trouble and sets you high upon a rock, so that you know His plan and purpose for you are to give you a hope and a promise for a good outcome! Lean your entire personality and purpose upon The LORD God in your wilderness and watch Him bring you out of the old season, lifting you into the place of His presence where you KNOW HIM! God is faithful to the uttermost and will not fail you! He will deliver you from every trial, working all things to your good, you must simply hold on!!! He is a present help in a time of need and will not fail you!